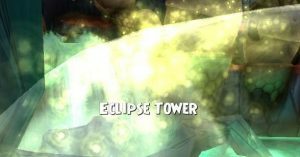 Ready to defeat Sofia Darkside and complete the two Eclipse Towers to get Shadow Magic? Read the details and watch the quest! Tartarus is the final Immortal Game in Aquila and home to level 90 gear in the game. Read on for Duelist's guide with quest details and tips to beat the dungeon. We also have a video guide of the quest. Enjoy! Wizard101's Mount Olympus in Aquila is the first of three dungeons. Read all about it in this comprehensive guide. We also have a video with it all. Check it out! Mount Olympus is the level 30 dungeon in Aquila. One important task there is to locate Hephaestus Coppersmith’s Bronze Eagles. Here's Heather Shadowslinger's guide and video to show you where they are!